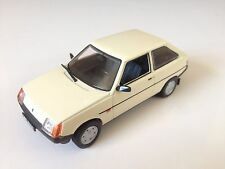 ZAZ 968M - 1/43 - DeAgostini - Cult Cars of PRL - No. 122 LAST ITEMS!!! ZAPOROZHETS ZAZ ZAPO TAVRIA 1102 UKRANIAN CAR EMBLEM SET. This page was last updated: 22-Apr 10:25. Number of bids and bid amounts may be slightly out of date. See each listing for international shipping options and costs.